This issue of Constellis’ Kidnap for Ransom Insight Report covers global kidnapping incidents and trends for the months of November and December 2018, as well as January 2019. The information is derived from multi-source analysis of kidnap for ransom activity and where known, the outcome or resolution of the event. 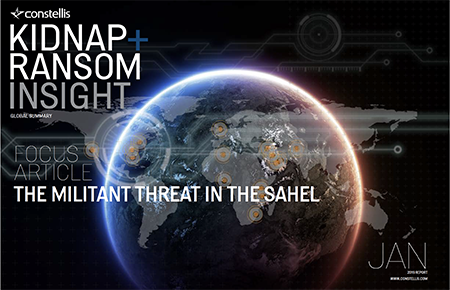 The report covers current kidnap for ransom hotspots at regional, national and provincial levels, with a particular focus on areas where kidnap for ransom activity is increasing.